Structural bodywork really begins with opening the chest and freeing the breath. When the chest, shoulders and ribcage are released, the resultant benefits of improved posture, circulation and oxygenation are priorities for structural, clinical and energetic therapists alike. This class introduces both energetic and structural techniques for releasing the respiratory muscles. 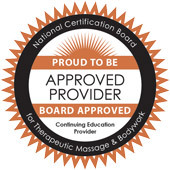 Bodyworkers will learn an elegant integration of polarity therapy and myofascial work with a focus on relaxing and opening the thoracic cavity, enhancing respiration and energizing the heart chakra. These concepts can be applied in almost any massage therapy session. Learn to apply the principles of polarity therapy in ways that enhance the effects of structural integration and myofascial therapy.